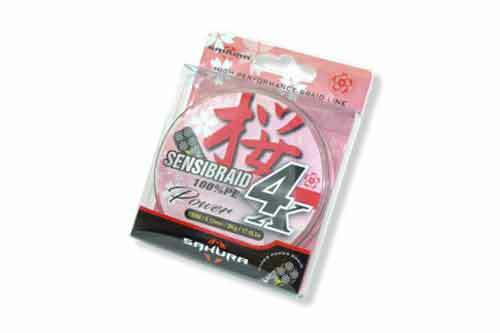 SAKURA braided lines are from the latest technological advances in weaving and use high quality materials like high modulus PE fibers from Japan. Multifilament made from 100% high modulus PE fibers from Japan, they have been specifically developed to offer you the best. Our braids have a remarkable ratio diameter / strength. On the first launch, you can judge the smoothness, finesse and sensitivity of our two models. Whether the model “run”, SENSIBRAID 8X or SENSIBRAID 4X, all have a glide and comfort of exceptional use.